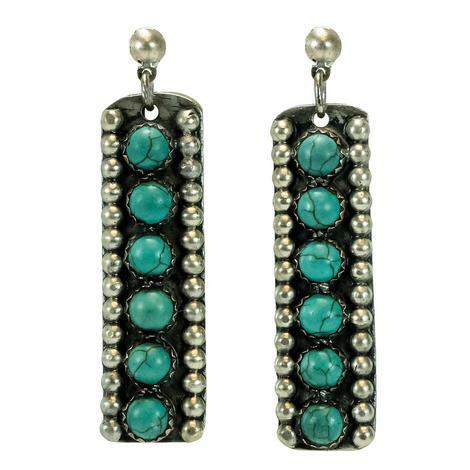 This attention-getting pair of Turquoise and Black Onyx Sterling Silver Earrings, with slender bar design is just what you're looking for to supplement your jewelry collection. 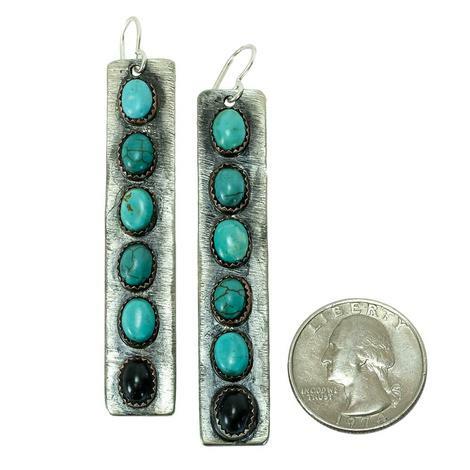 Length from lobe: 2 1/2"
Add class to your country attire with these sterling silver and turquoise earrings. 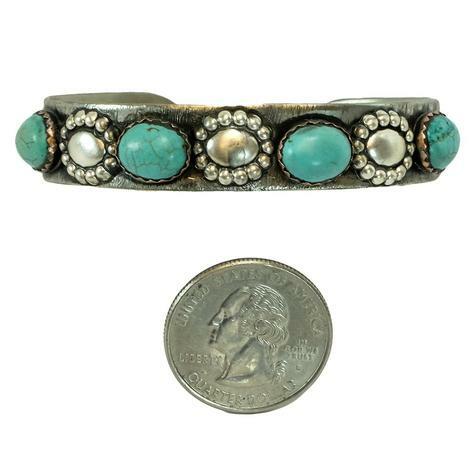 The stone bar style with dotted edge design is an excellent choice for just about any event. 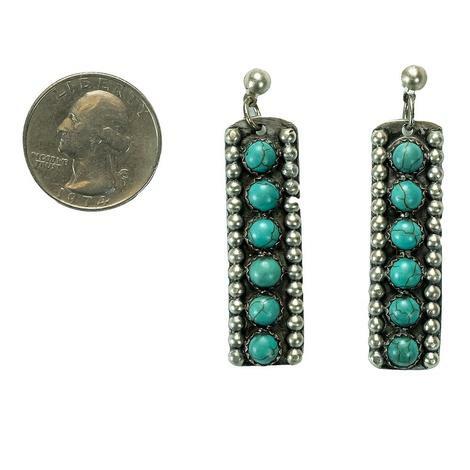 Length from lobe: 1 1/2"
Express your trend-setter character with these charming turquoise studded sterling silver earrings. 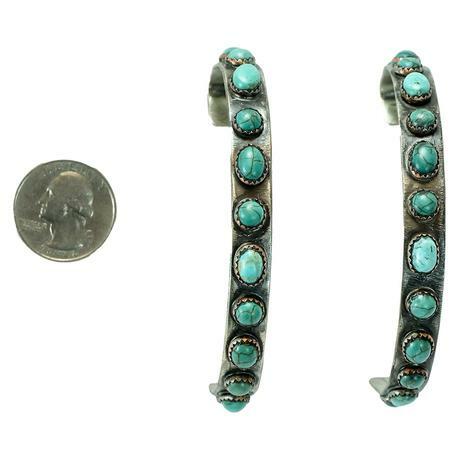 The eye-catching oval design hoops complement your fun personality! 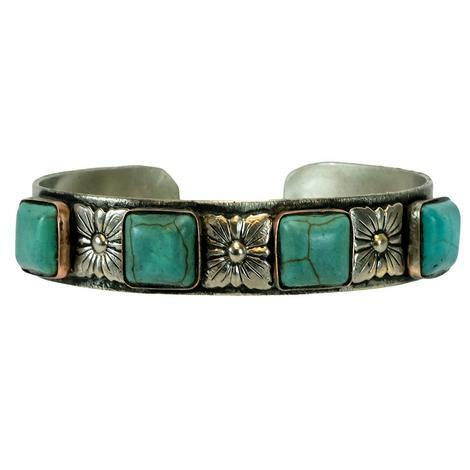 This bold sterling silver cuff completes your "put together" country appearance. 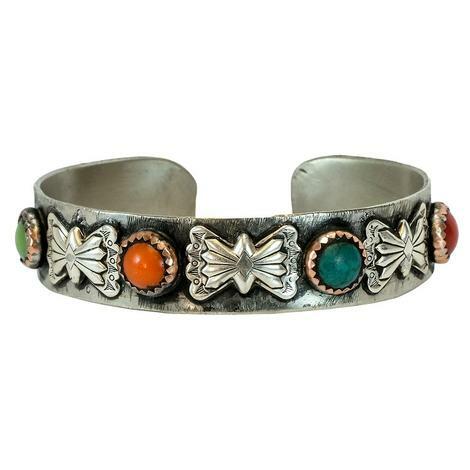 This fashionable multi stone set design is a must-have! 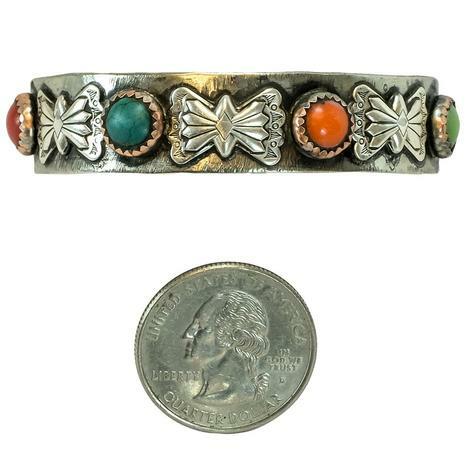 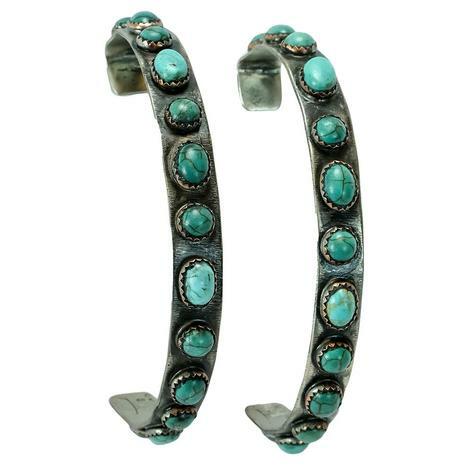 This precious sterling silver cuff adds emphasis your "put together" country ensemble. 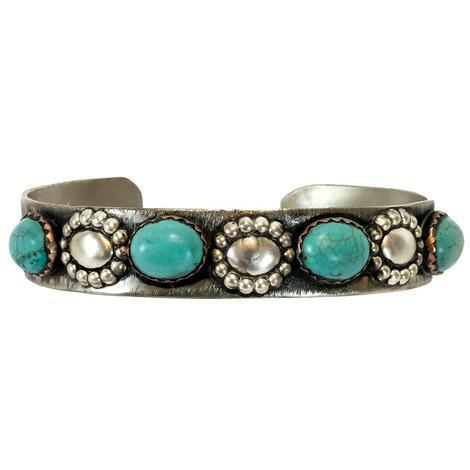 This flattering multi stone light turquoise oval set design is ideal for most occasions. 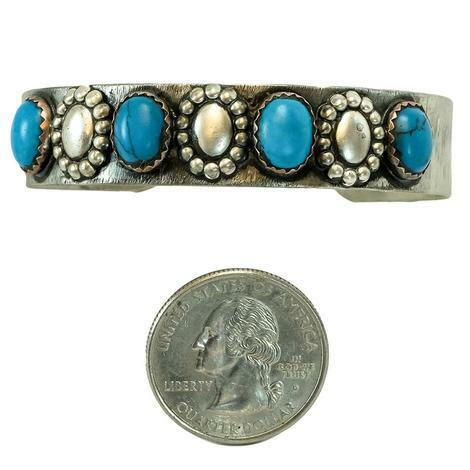 Let this precious sterling silver cuff bring together your western ensemble. 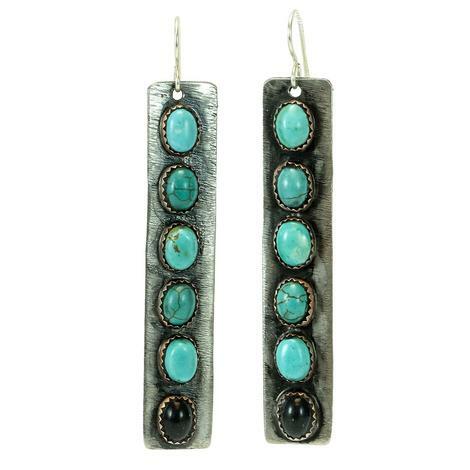 This dark blue oval turquoise set design is an ideal piece to your jewelry collection. 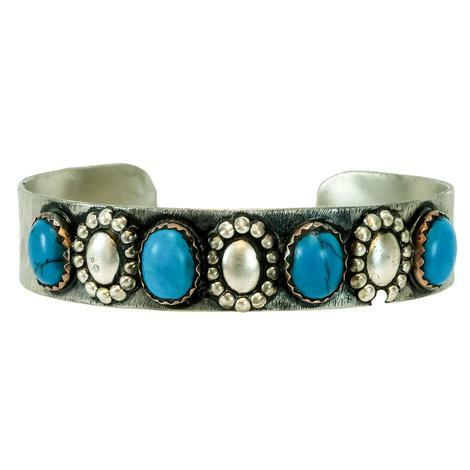 Wear this preppy sterling silver bracelet cuff with your favorite western ensemble for the perfect finishing touch. 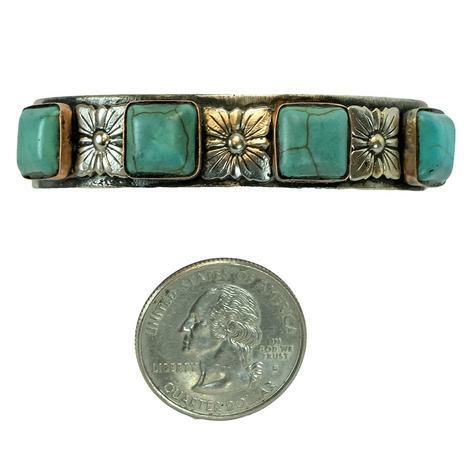 The turquoise square set design adds style and spirit to your collection.